We are a full service car stereo installation business. Our professional car audio installers are trained and experienced, many with excess of a decade of sound system installation experience. Passion that shows in the craftsmanship of our work! 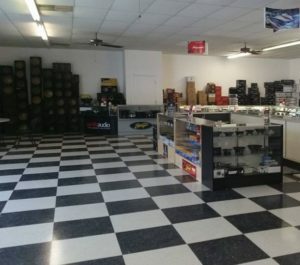 Our car audio installation shop is the best in the industry and passionate about this craft. We work on custom car stereo installation for show cars, all the way to simple cd player installation. From mild to wild, we have the facilities, tools and car installation technicians to get the job done right the first time. All car stereo installation services are backed by our lifetime installation warranty. You are in good hands! 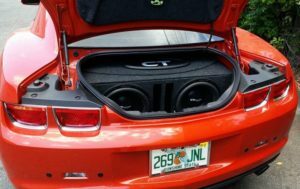 We specialize in subwoofer installation and custom fiberglass box fabrication for every type of vehicle that you can think of! We also install sound systems on motorcycles, boat stereo installation and all other automotive stereos. And a lifetime installation warranty! Discount Auto Tunes has the pro’s to assist you! Our car audio installers are trained experts in the auto sound industry. We have the skills and expertise to configure your auto sound system for the perfect balance of bass, mids and highs. No matter what system that your vehicle has, we will dial it in for ultimate sound quality and reliability. Our car audio installers are professional car stereo repair technicians. Whether if you have a loose bass box wire, or if you have other issue’s with your sound system, our trained technicians have the skills and resources to diagnose and repair your vehicles stereo system. For a free quote of our automotive stereo installation services you can either call us, email us or bring your vehicle down to our car audio shop. We make it convenient for you. We now offer mobile car audio installation for auto dealers, ask us. For the most professional, quick and affordable car stereo installation you can count on Discount Auto Tunes!